To be at war dictates the necessity of knowing the name of your enemy. Obama simply calls our deadly Islamic enemies,extremists. He never refers to them as Muslims or Islamists, because as he stated recently, mentioning the real name of the American enemy will – now get this – offend the Muslims. What would have been the effect of the wartime strategy of FDR if he had chosen to call the followers of Adolph Hitler extremists while carefully avoiding the term Nazi? 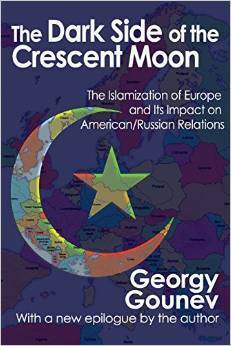 This right-on-target question is posed in the informative new book, The Dark Side of the Crescent Moon, with the subtitle: The Islamization of Europe and its Impact on American/Russian Relations, by Georgy Gounev-Transaction Publishers, New Brunswick, New Jersey, $39.95. 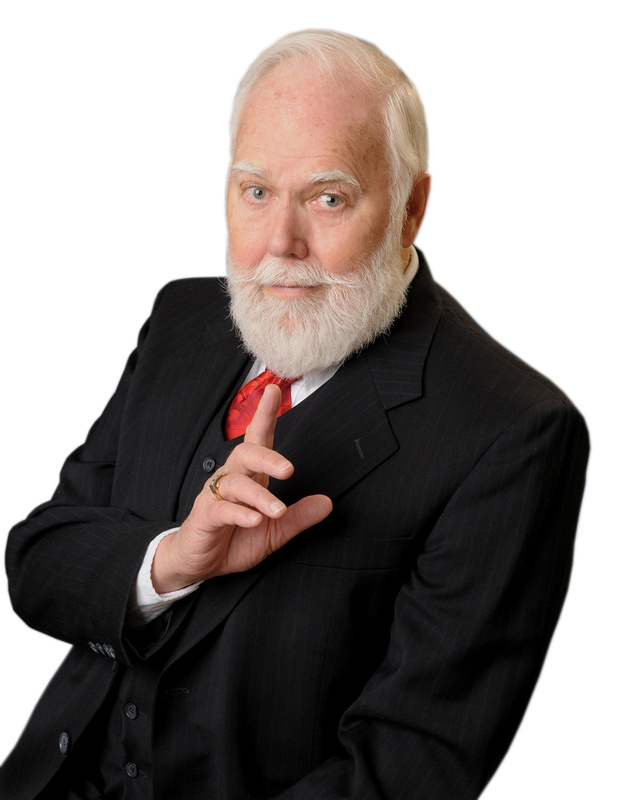 The very knowledgeable author knows his subject well and currently teaches contemporary Middle Eastern History, current events, and international studies at three different colleges in Southern California. He obtained his PhD from the Institute of Foreign Relations in Moscow, Russia. With their quest to one day have America become a Muslim nation under Sharia Law, it behooves us all to learn everything possible about our enemy, his history, goals, strategy, battle methods and how they are preparing for their victory against us. Obama will use the term, War on Terror, but as this book points out,The definition is outright absurd because terror is only the method used by the terrorists. If we can agree on that, then the next question could only be this; who are the users of this method? On May 13, 2010, an unusual exchange took place at the hearing of the House Judiciary Committee in connection with the recent incidents involving radical Islam related crimes and attempts to commit crimes, such as the Christmas Day and Times Square bombers and the Ft. Hood Murderer, who killed and wounded many American Military personnel, an incident Obama declared as an incident of work place violence. Any description BUT a Muslim attack on U.S. soil. Rep. Lamar Smith (R-Tex): "Do you feel that these individuals might have been incited to take the actions they did because of radical Islam?" Holder: "There are a variety of reasons why people...."
Smith: "But was radical Islam one of them?" Holder:" There are a variety of reasons why people do these things. Some of them are potentially religious based." The above dialogue points out the very stupidity of the current American government under Obama that is more concerned about offending the enemy than in defeating them to protect America. Mr. Gounev is thorough in his research and has provided a valuable work. It shows how Islam has evolved through the centuries with excellent insights on the leaders, how they have taken over Europe in their march of conquest throughout the world. It tells how the consequences of World War II affected Islam, something known by only a few. Ayatollah Khomeini went further to say: "Allah did not create man so that he could have fun. The aim of creation was for mankind to be put to the test through hardship and prayer. An Islamic regime must be serious in every field. There are no jokes in Islam. There is no humor in Islam. There is no fun in Islam." And it goes on and on. Those who have actually seen the face of the Ayatollah, have no doubt that he was very serious when he spoke these words. This is precisely the government tyranny that Obama has been paving the way to accomplish for America. He has already sold us out to those who would destroy us all. And he and his cronies will then celebrate the triumph of multiculturalism and political correctness. This 227 page book is packed with rich history and information that gives a complete understanding of Islam and those who are devoted followers so we can better prepare ourselves. This book is a must for those of us who need guidance of how to deal with this and protect our families. The more we know about them, the safer we will be. Knowledge IS power. Be certain to add, The Dark Side of the Crescent Moon to your bookshelves and libraries. Transaction Publishers is the go-to source for all current social issues literature.